Iam a very big fan of Ichimoku 3,13,16 for Intraday and Swing Trades. I you had practised the simple Ichimoku Strategy along with the Time Frame Strategy you could be able to manage your risk most of the time. Now set the color settings for Ichimoku parameter as shown in the below image. 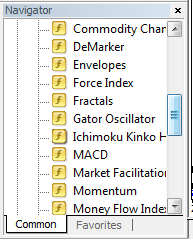 After a….. lot of permutation and combination at least I was able to configure the dow & snp data for amibroker. But for meta stock I was unsuccessful. Investbull may be going to discontinue free download of intraday data from 16 June 2010 for some technical reason. Is there any other sources to get free intraday data? I use GCI MT4 and Ichimoku set as per your reco. Is the AFL for Amibroker to do the indicator for day trading. Also is the parameter 3, 13, 16 same for day trading. I dont have enough data points for Silver Micro for validating the strategy. If you have past 4-5 years of Silver data send me across.